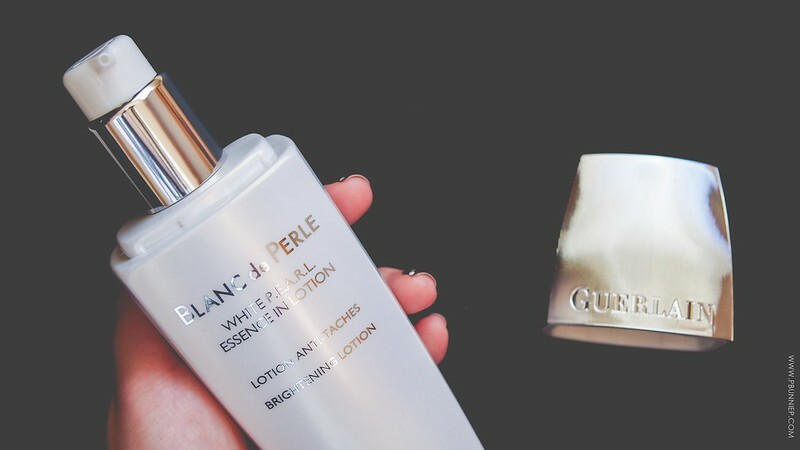 Skincare lovers, today's post is just for you. 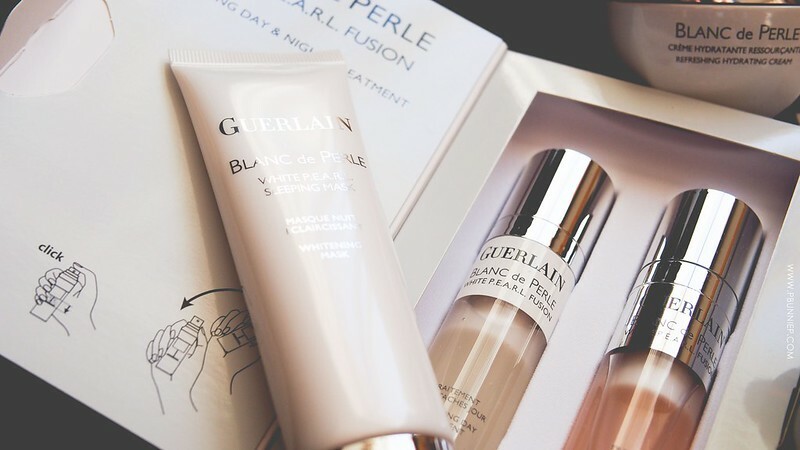 A few months ago, I did a quick preview of Guerlain's Blanc de Perle skincare range which was released in January. Having been popular in Asia for quite some time, I was anxious, excited yet ever so slightly nervous to write my review. This is a very extensive range and there is quite a lot to say but let's start with a review of the basics. 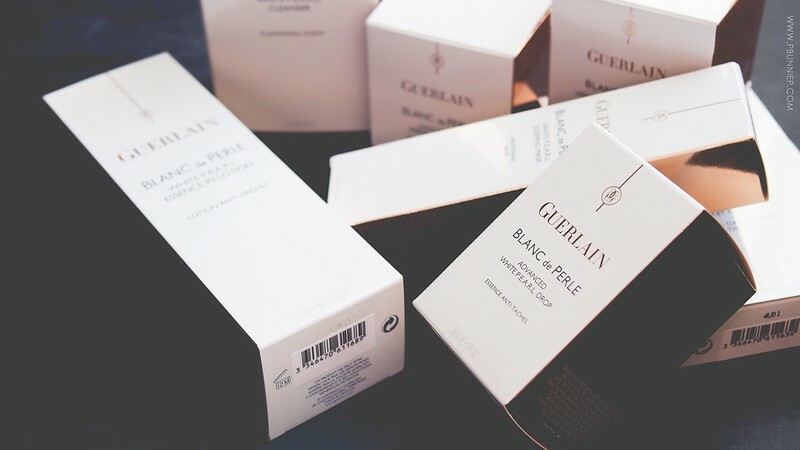 Guerlain is no stranger to the skincare realm, having created skin tone correcting products for decades before it even became a hot topic in North America. Blanc de Perle is the newest update to their whitening/brightening range meant to reveal your most beautiful luminous skin. 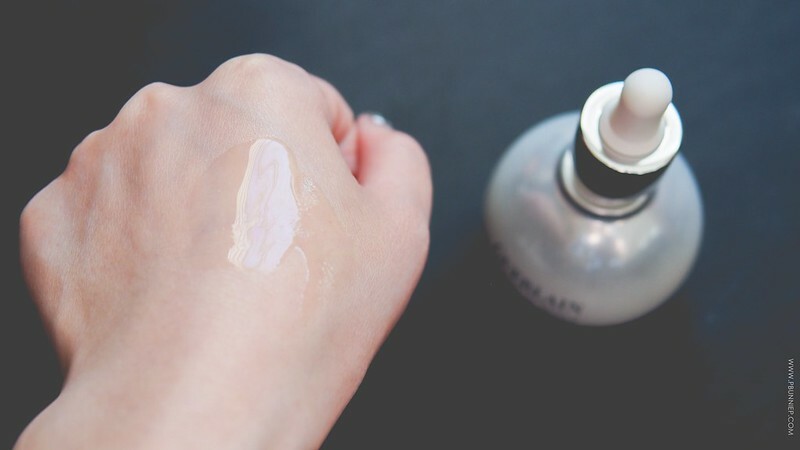 Now whenever we talk about luxury skincare, I think it's important to know that in this realm (and price point), skincare is not just about what's inside the bottle but also what is outside. From the presentation, to the design and overall skincare experience, all of that is considered an essential aspect of the product. 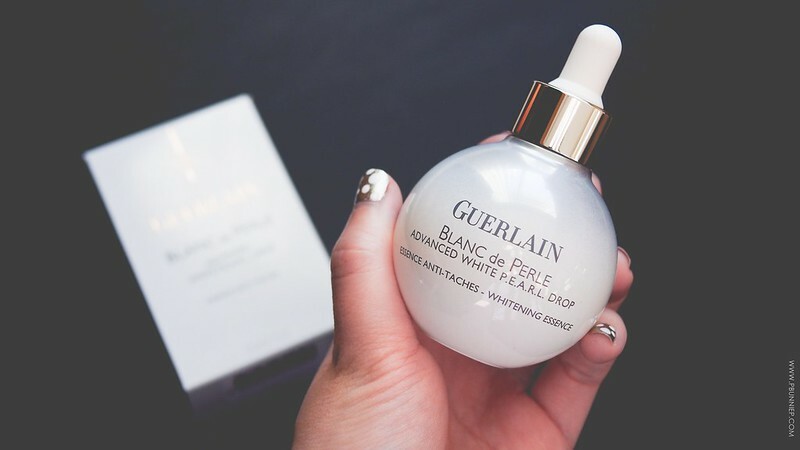 With this, Guerlain has done an impeccable job. Colours of beige, pearl white and sliver really bring together the range cohesively and fits the brightening theme perfectly. Packaging is appropriate to the product but done up in sophisticated presentation from satisfying glass jars to easy dispensing droppers and pumps. All the products are scented with a soft sweet floral note but delicately done so there's no overwhelming lingering fragrance and I actually find it more manageable than some of their other skincare products which can borderline on perfume. Because of the large range of products here, I'm going to talk briefly about each one, whether or not it will stay in my personal routine moving forward and lastly a quick before and after comparison of one month of usage. Every day's morning and night routine started off with this thick moussey cleanser. And when I say thick, I mean you have to really massage the tube to get the product softened enough to come out of the single whole dispenser. 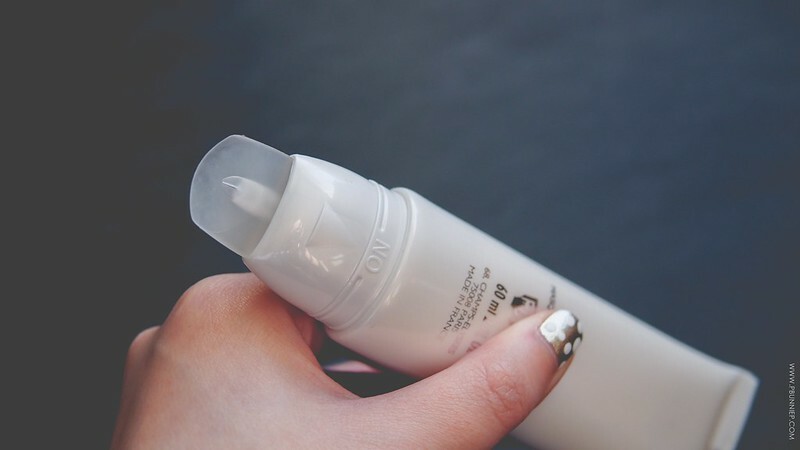 A small amount is all you need to foam this cleanser into a soft and rich texture. It doesn't make the thickest foam I've encountered but it's a very gentle clean that did not irritate or dry out my combination skin. My skin felt refreshed and soft after every wash. Small exfoliating beads are present but they are so sparse and so small that you might as well forget about them. I recommend a slow and thorough massage with this before rinsing off with warm water. Post cleansing, I take 2 pumps of this brightening toner either on a cotton wool or simply on my hands and pat/sweep it over my skin. It does contain some alcohol but I never felt any stinging or discomfort and in fact I really enjoy how light weight and gently moisturizing it is. If my skin is feeling extra rough or dull during the day, I'll do a refresher with this toner as a quick pick me up! Notable ingredients include Japanese "dragon's beard" (an herbal plant), sea lettuce (anti-oxidant), yeast extract and sophora angustifolia extract (suppression of darkening melanin). 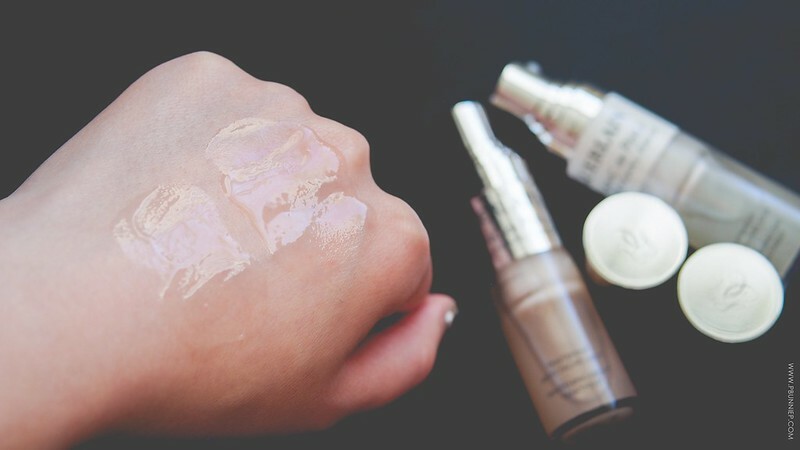 The formulation itself feels like water but leaves behind an ever so slight film on the skin. Price: $260 CAD/set (15ml x 2) | Staying in my routine: Undecided. 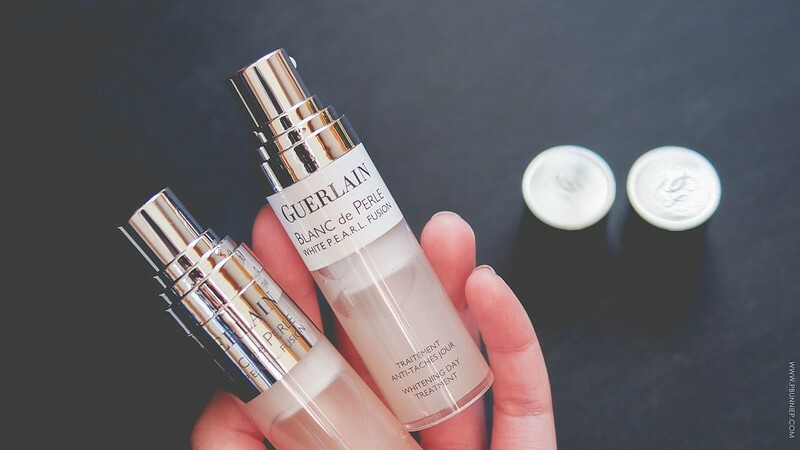 Formulated with the most concentrated amount of Guerlain's active P.E.A.R.L. Complex, this set of day and night treatment is meant to be the power booster in your routine. Sealed in small pump dispenser bottles, the day treatment is formulated with protective properties while the night treatment is created to rapidly dispense dark spot correcting ingredients to the skin. 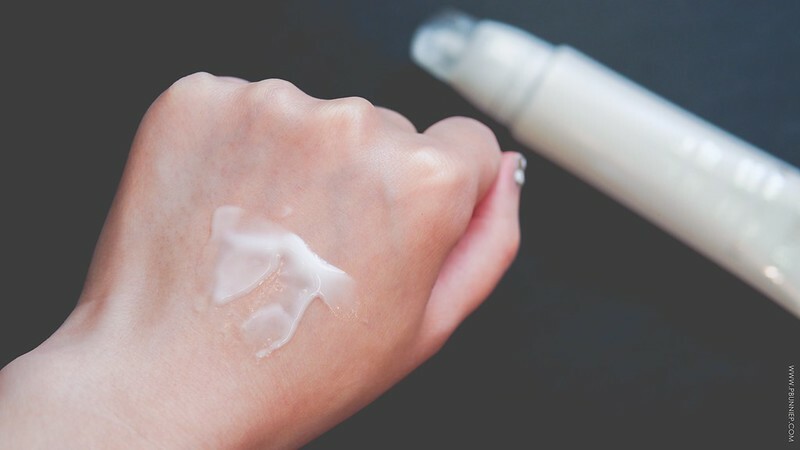 Although they look very fluid in the bottle, the day variation has a more watery consistency whereas the night option is thicker with a slightly gel-like feeling on the skin. In addition to the aforementioned medicinal ingredients in the toner, the day treatment also contains sunflower seed extract and evening primrose extract while the night treatment boasts a cocktail of vitamin C and lactic acid for mild exfoliation. Unfortunately, nothing about this duo really stood out to me and still remains a major mystery of this range. I alternate between using this as well as the Essence. 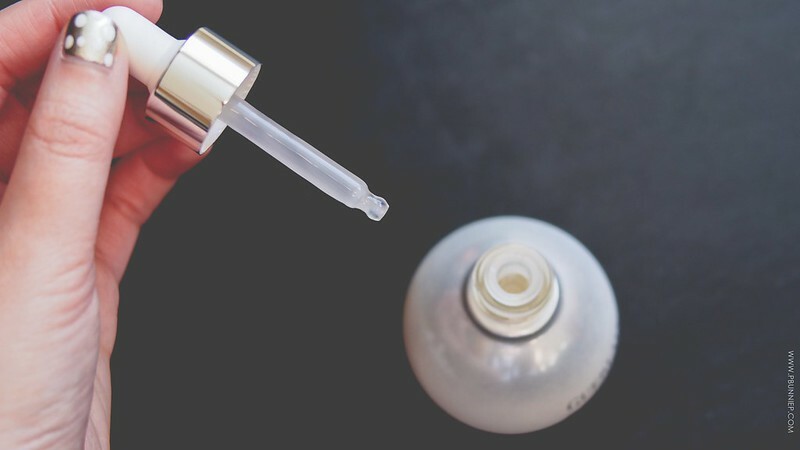 Much more suited to my personal taste, this serum/essence dispenses via a dropper as a milky viscous fluid which turns almost watery when massaged into the skin. While light weight, it doesn't leave any uncomfortable residue behind yet does a notable job of hydrating my skin without added greasiness. It's easy to layer with other products and I've used it both on its on but also mixed right into my day cream when I'm in a rush. Either way, this seems to do much better for me while having an extremely similar mix of ingredients as the Night Treatment. Formulated to protect the skin from oxidative stress during sleep, this triple duty night cream is meant to hydrate, repair and protect. It has a gel cream texture that feels light to the touch but which I found quite hard to spread evenly. This meant I either used more product than I though necessary or I had to mix the essence to make it more blendable. Strangely this actually felt a little heavy on my skin and often pilled as well when rubbed too extensively. It didn't seem to layer well with other products in the range although it did a fine job of moisturizing my skin. This contains sodium hyaluronate for hydration, isoparafin (a mineral oil complex), peach extract, citric acid, vitamin C as well as similar ingredients to the treatments. Throughout the month I was almost inclined to say this clogged my pores a little so I often used the day cream at night instead. Now looking at it's mineral oil content, something my skin just does not like, it all made sense. If you're very breakout prone, skip this night concentrate. With a light, milky soft consistency this day cream is indeed refreshing and perfectly suited to my skin type. It's moisturizing yet feels balanced even when layered over the treatments and essence. No suffocating feeling here at all and my skin just feels plump, soft and with a healthy glow that's fresh, not greasy! This does not contain mineral oil but instead adds white lily bulb extract as well as sanguisorba officinalis root extract which is known to have medicinal healing properties. One of my favourite textures from this range by far and a pleasure to put on every time. If you're new to Asian skincare, the concept of a sleeping mask probably sounds rather perplexing. 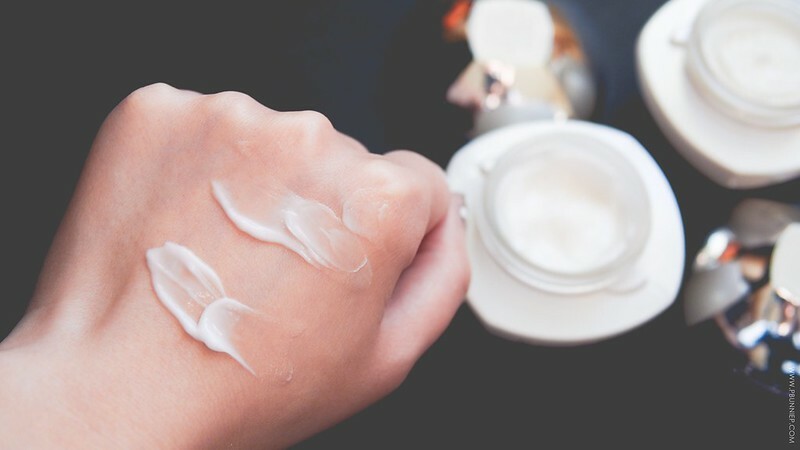 In short, it's usually a hydrating treatment (much like a facial mask) that comes in a cream/gel form and is used overnight. 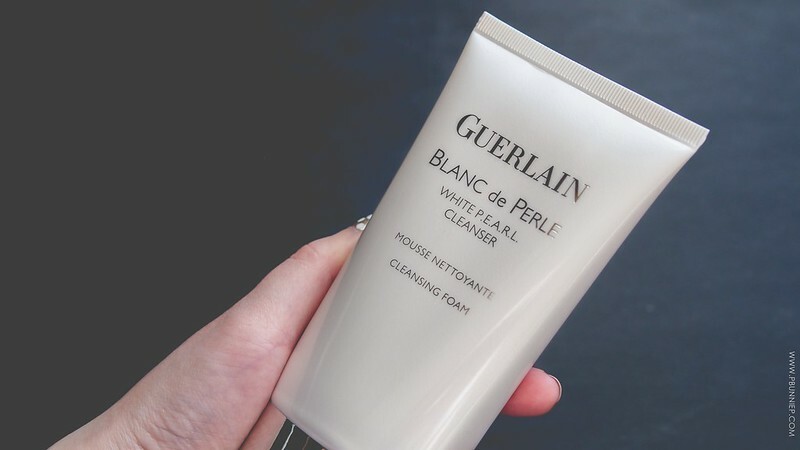 In the case of Blanc de Perle, this mask is mean to accelerate the effect of the active ingredients of your serums while also helping to repair daily UV damage. It has quite a nifty silicone spatula applicator which, after much fiddling, I decided was too cumbersome to use. 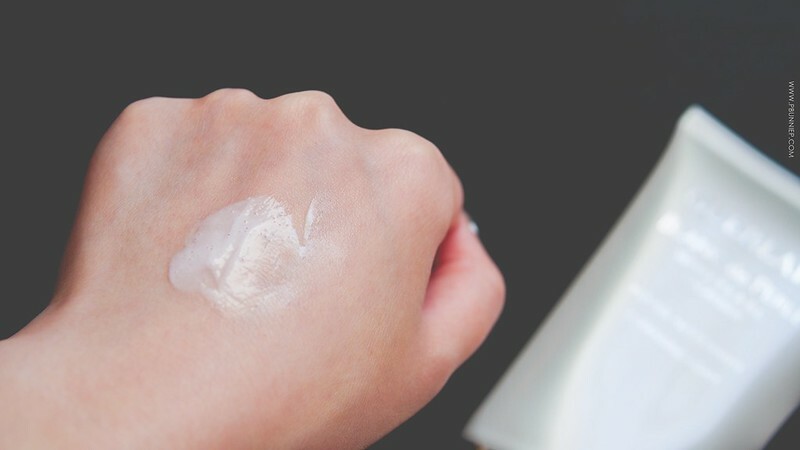 Ideally it helps to smooth the product evenly over the skin but I found it easier to just use my fingers instead. The mask itself is quite lovely with a milky light consistency unlike most of the heavier sleeping products I've used previously. It leaves a slightly moist layer on the skin but I always wake up to well rested, smooth baby skin after using this. No breakouts, no extra greasiness. Marketed as a treatment product, this can be used 2-3x a week or as needed. It contains similar ingredients as the other products without the mineral oil. Now with all those products working their magic for a month (actually probably a bit more than that), let's look at the before and after results. 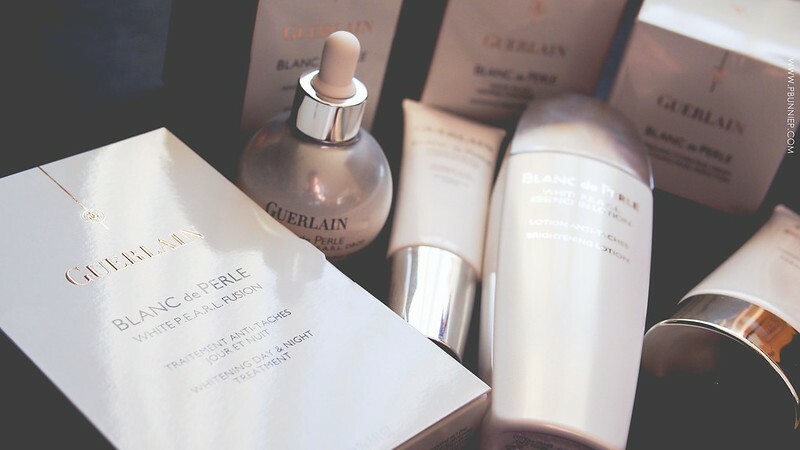 As always, I started by letting my skin "reset" to a more normal and natural state by using simple skincare with little to no active ingredients before switching over to the Blanc de Perle range. 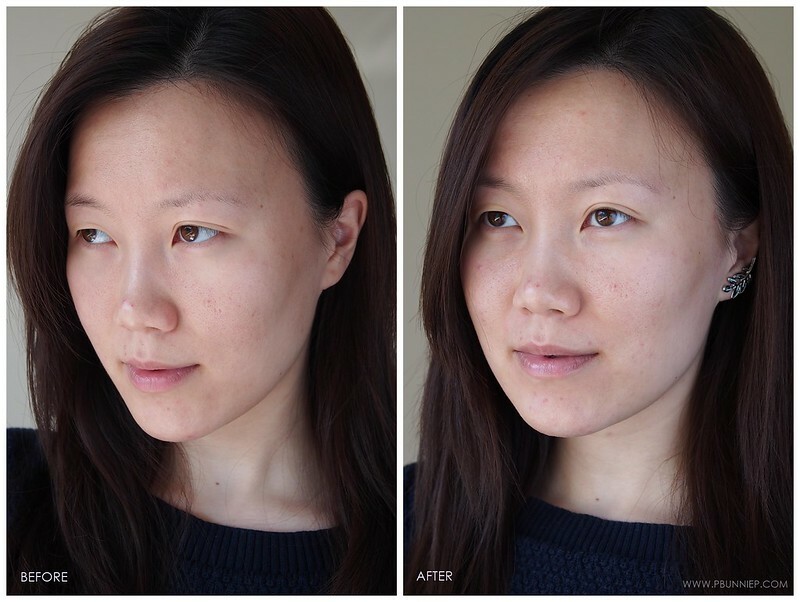 Note that the sun was out in the before photos so my skin looks just a tinge warmer than the after photos. From here, I don't see a very significant overall skin improvement, at least not at first glance. 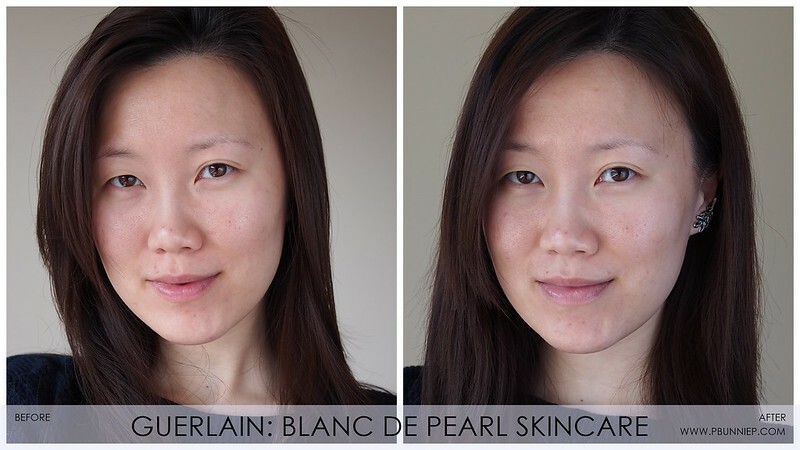 The results are not dramatic but what I noticed the most is the refinement of my skin texture throughout the weeks. My skin felt very soft and my pores actually looked less visible on a regular basis. Makeup applied wonderfully over the day cream and even during the colder months my skin felt well balanced. It did well at maintaining a bright and well rested complexion but did little for my dark spots and red spots (from blemishes) as you can see in my after photograph. The darker area on my forehead saw a minor improvement. 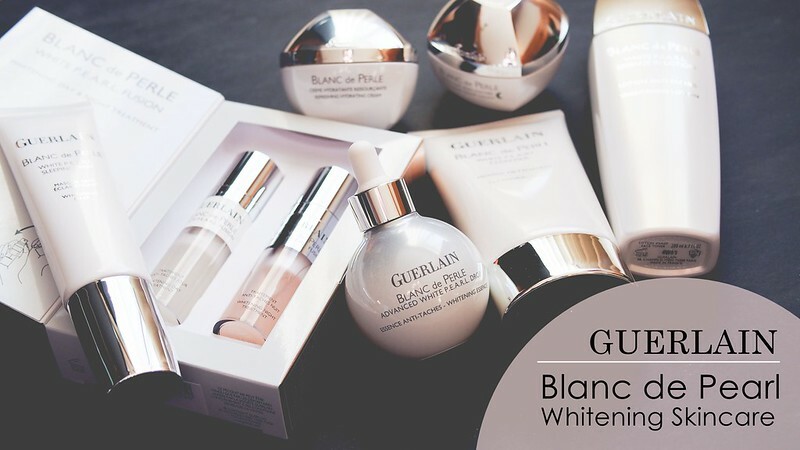 The Guerlain Blanc de Perle Whitening Skincare range is a very gentle, well rounded set of products best for the maintenance of bright, luminous skin. The extensive range of items layer well with each other but you can always select your favourites to customize your regime. Overall the textures would sit best with dry to normal skin types as well as slightly mature skin. Blanc de Perle was excellent at balancing my combination skin and I especially liked the results on refining my usually problematic skin texture but it wouldn't be my personal first choice for treating dark spots or scarring. That being said, note that these were my results over only one month of usage and continued usage may provide better results. I will keep some of these products in my routine but I certainly need a few other things to treat my personal skin issues. 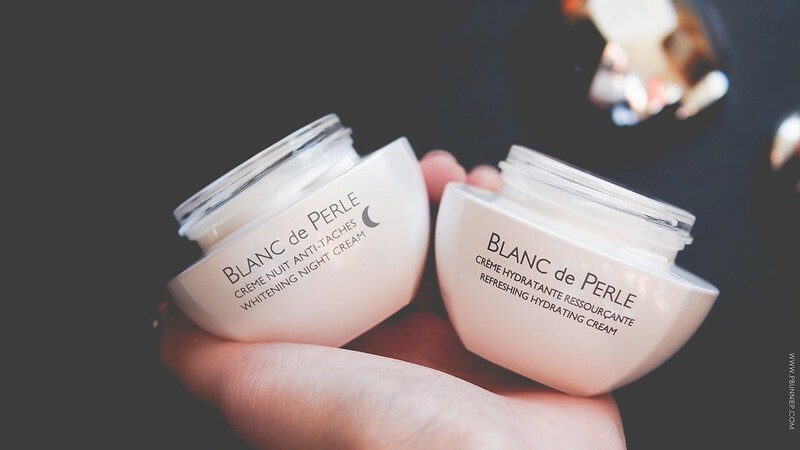 For those interested in trying Blanc de Perle, I'd recommend the Whitening Essence, Refreshing Hydrating Cream and Sleeping Whitening Mask as my top picks from the set.